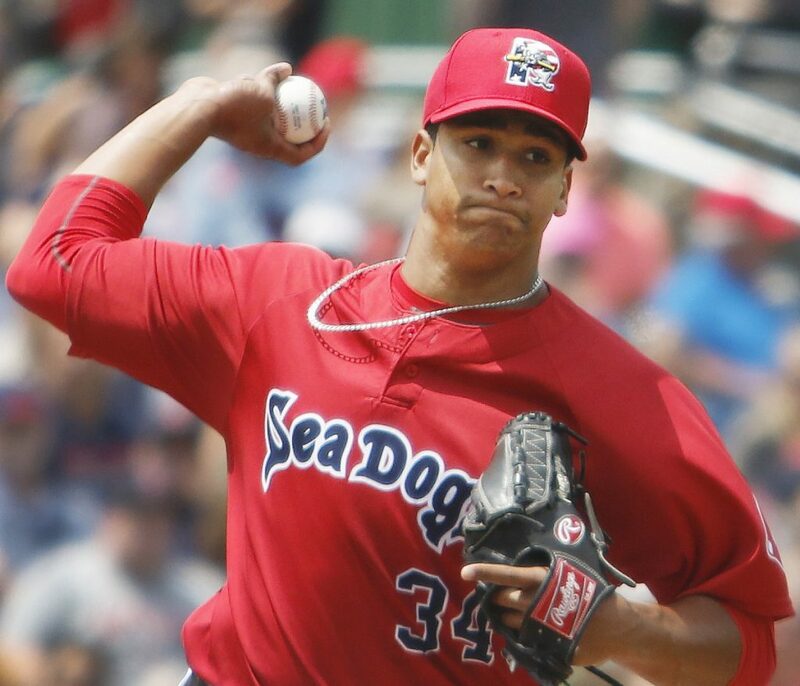 Jalen Beeks, Justin Haley, Chandler Shepherd and William Cuevas – all ex-Sea Dogs – have formed a solid rotation. Several of Boston’s best pitching prospects are at the lower levels, but Triple-A Pawtucket has assembled quite a quartet of starters, all of them former Sea Dogs. In the 14-team International League, Jalen Beeks (2.65 ERA), Justin Haley (3.18), Chandler Shepherd (3.36) and William Cuevas (3.70) rank in the top 17 starters in ERA. Beeks and Haley have already been up to Boston this year. Shepherd is on the 40-man roster, and Cuevas has filled in before with the Red Sox. Beeks, 24, is the only lefty of the group and has shown the most potential, with 94 strikeouts and 18 walks in 68 innings. 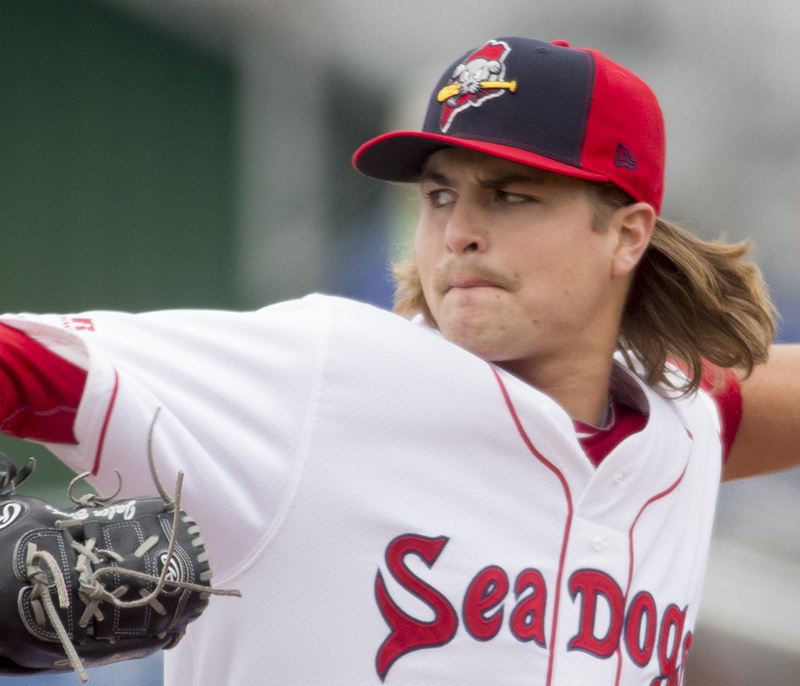 Jalen Beeks is 4-4 with a 2.65 ERA with Pawtucket. “His fastball command has really become more consistent,” said Pawtucket pitching coach Kevin Walker, who was in Portland the previous three years. Beeks will likely learn from his major league debut on June 7. He gave up five runs in the first inning, then allowed one run over the next three innings. I remember another lefty who made his debut 12 years ago this month. I’m not saying Beeks is another Jon Lester, but Lester’s line that day was only a little better – 41/3 innings, five hits, three runs and four walks. Beeks could be back with Boston later this year, as insurance for the rotation or in the bullpen. Justin Haley is 3-6 with a 3.18 ERA with Pawtucket. Haley, 27, received three months of major league experience last year when the Twins made him a Rule 5 draft pick. But because Minnesota decided not to keep him on the major league roster, he was returned to the Red Sox. He’s been steady this season. 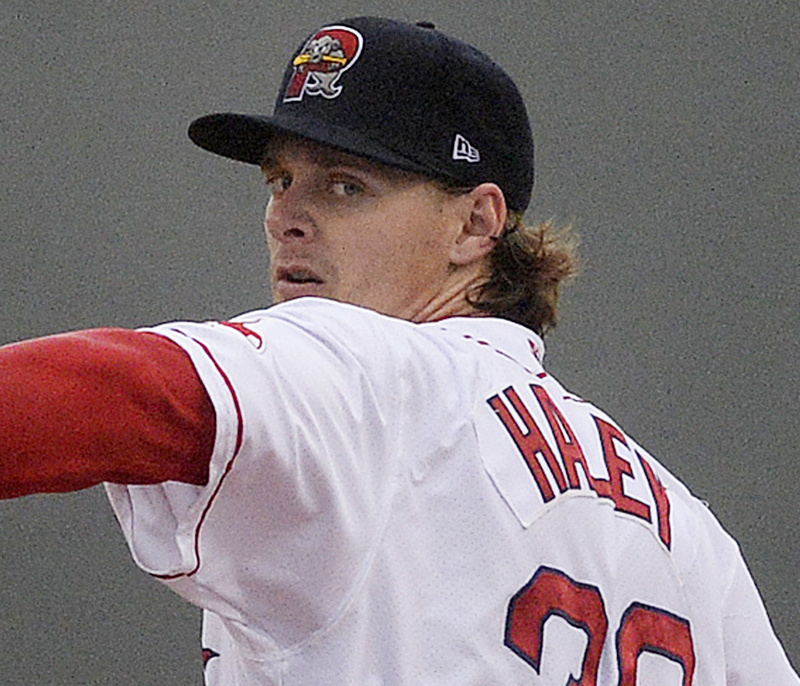 Haley made his Red Sox debut last Wednesday with two scoreless innings of relief. Shepherd, 25, awaits his first call to the majors. A reliever the past four years, Shepherd was put into the rotation to take advantage of his pitch mix. Cuevas, 27, pitched three games for Boston in 2016. Taken off the 40-man roster after that season, he signed with Detroit and made one appearance with the Tigers. He returned to the Red Sox organization on a minor league contract this year. “Cuevas really knows how to mix, keep hitters off balance and guessing,” Walker said. MICHAEL CHAVIS is eligible to be activated on July 1, but the Red Sox haven’t announced where they will send him. Chavis, Boston’s top prospect, has been serving an 80-game suspension for steroid use (Chavis has denied knowingly taking any banned substances). Chavis, 22, played in Salem and Portland last year, hitting 31 home runs. A third baseman, Chavis spent time at first base in the Arizona Fall League. Red Sox director of player development Ben Crockett said he is “not ready to announce” where Chavis will be playing in July. Crockett said Chavis has been with Boston’s Gulf Coast League team in Fort Myers – not playing games but taking part in batting practice and field work. THE CAROLINA League returns from its All-Star break Thursday. Normally, this is a time when at least one of Salem’s All-Stars heads to Portland. The best candidate appears to be right-handed reliever Matthew Gorst (1.59 ERA, 33 strikeouts, seven walks in 281/3 innings). Gorst was drafted out of Georgia Tech in 2016 (12th round, $115,000 bonus). He finished last season in Salem, so it may be time to move up. ANOTHER CATCHER conversion is taking place in the Red Sox minor league system. Danny Bethea, a backup catcher with Portland last year, is now a reliever with the Lowell Spinners. Bethea, 28, is the third former Sea Dogs catcher to try pitching. Edgar Martinez did the trick in 2004 and made an 11-year career of it in the minors and Mexican League. Jordan Weems switched from behind the plate to the mound in 2016. He’s now relieving for the Sea Dogs. Bethea was a catcher for five seasons, with limited playing time. He made his pitching debut Sunday and threw a scoreless inning, walking two.